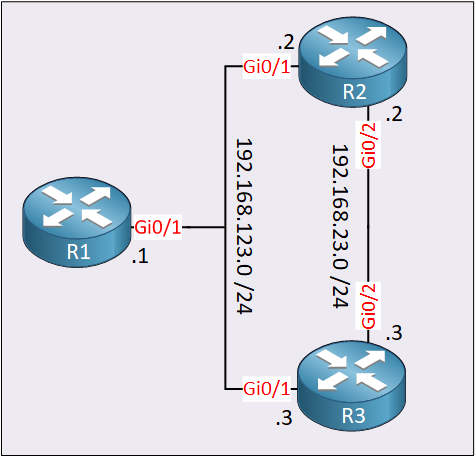 For each route in the BGP table, the next hop has to exist and has to be reachable. If not, the route can’t be used. BGP uses a scanner that checks all routes in the BGP table every 60 seconds. The BGP scanner does best path calculation, checks the next hop addresses, and if the next hops are reachable. 60 seconds is a long time. When something happens with a next hop during the 60 seconds between two scans, we have to wait for the next scan to start before problems are resolved. Meanwhile, we can have black holes and/or routing loops. BGP next hop tracking is a feature that reduces the BGP convergence time by monitoring BGP next hop address changes in the routing table. It’s event-based because it detects changes in the routing table. When it detects a change, it schedules a next hop scan to adjust the next hop in the BGP table. After detecting a change, the next hop scan has a default delay of 5 seconds. Next hop tracking also supports dampening penalties. This increases the delay of the next hop scan for next hop addresses that keep changing in the routing table. In this lesson, I’ll show you what the BGP next hop scanner looks like and how dampening works. We have three routers in AS 123 running iBGP. Each router has a loopback interface with an IP address that we advertise in OSPF. Those IP addresses are used by IGP as the next hop addresses. In between R2 and R3, we have the 192.168.23.0/24 network that we will advertise in BGP. I left the timestamps so that you can see it runs every 60 seconds. The BGP scanner is a bit too slow to rely on for next hop changes. Let’s see how next hop tracking works! You can disable it by adding no to the first command. The only value we can change is the delay for when the next hop scanner starts (5 seconds). The first debug is useful to see changes to the routing table. The second debug shows what next hop tracking will do. As soon as OSPF figures out that 3.3.3.3/32 is gone, the route is deleted from the routing table. Immediately after the OSPF event, you can see that BGP schedules the next hop scanner in 5 seconds. Once those 5 seconds have expired, it changes the next hop address to 2.2.2.2 (R2) and adds this change to the routing table. This process is much faster than the BGP scanner that runs every 60 seconds. As you can see above, we now use 2.2.2.2 to get to 192.168.23.0/24. We still see 3.3.3.3 as a next hop in the BGP table. That’s because the BGP hold-down timer hasn’t expired yet. OSPF detects the change and 2.2.2.2/32 is deleted from the routing table. Right after, BGP schedules a next hop scan in 5 seconds and when the timer expires, it deletes the 192.168.23.0/24 route from the routing table. You have now seen how next hop tracking is scheduled and runs after 5 seconds. What if we have a flapping network that causes the next hop to change over and over again? Right now, that means that the BGP table gets updated after 5 seconds over and over again. To prevent this from happening, next hop tracking supports dampening. Each time a next hop changes, a value of 500 is added to the penalty. When the penalty is below 950, the next hop scanner is scheduled in 5 seconds. This is what we just witnessed. I have Problems with that. Every Router is connected to ISP(same AS but does not matter here) which give a default route only to each inside Router. If you use private IP addresses on your network then in this case, traffic could match your default route and is forwarded to the ISP. They’ll drop it though since they don’t route private IP addresses. If you want to prevent this, you could configure some null0 routes for your private ranges. When the router doesn’t have a more specific entry, it will drop the traffic instead of using the default route. Yes, I believe your description would would indeed provide the desired result.